Keith Stuart is an author and journalist. Stuart’s debut novel, A Boy Made of Blocks, was a Richard and Judy Book club pick and a bestseller, inspired by Keith’s real-life relationship with his autistic son. His second novel, Days of Wonder, is a story about story about family, love and finding magic in everyday life. 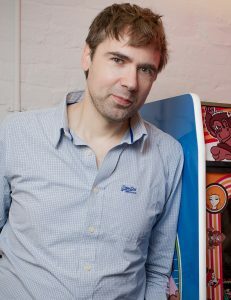 He has written for publications including Empire and Esquire magazine and was the former games editor of the Guardian.